Soulfeed as artists are the definition of deepness as it pertains to the art of dance music. As young kids their passion for music was apparent. With love for live instruments, synthesizers ,"games"and the music which was born as a result… Soulfeed was created. 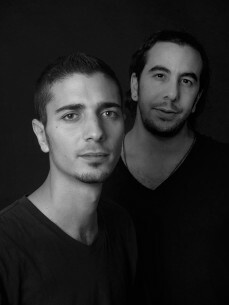 The south Israeli duo (Elad & Oren) united as Soulfeed and have shown deep, vivid quality with their melodic vibes. Soon after they broke in the electronic music scene with a unique style and made their mark. Soulfeed's ideas are "out of the box" and as artists their intentions are to conquer all what they touch. Soulfeed both by name and sound give off deep and organic aura.They know exactly which effects and sounds to use while constructing their deep groove, and organic melodies inspiring the flow of the duo's energy. During the years they have released several deep and groovy house and techno music. Soulfeed's music has reached the top of the dance music charts and has been played by DJs from all over the globe.